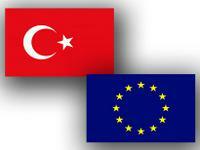 A readmission agreement was signed between the EU and Turkey on Dec.16, TRT TV channel reported. The readmission agreement envisages the acceptance by Turkey of citizens from third countries who have arrived in EU countris illegally through its territory, according to the TV channel. After three and a half years after signing the agreement, Turkish citizens will have the right to travel to EU countries on a visa-free basis, according to the TV channel. Turkish Prime Minister Recep Tayyip Erdogan, Turkish Foreign Minister, Ahmet Davutoglu, Minister for EU Affairs, Egemen Bagish and EU Commissioner for Home Affairs, Cecilia Malmstrom participated at the signing ceremony.